A sweet breakfast classic from England. 1 Scrape out the seeds from the vanilla bean. Bring milk to a boil in a pot with vanilla pod, vanilla seeds and oats. Simmer, stirring occasionally until the oats swell and mixture has the consistency of porridge, 10-15 minutes. 2 While the porridge simmers, cut figs into quarters. Chop pecans. Mix lemon juice with honey in a small saucepan, heat briefly and stir in figs. 3 Take vanilla pod out of the porridge. 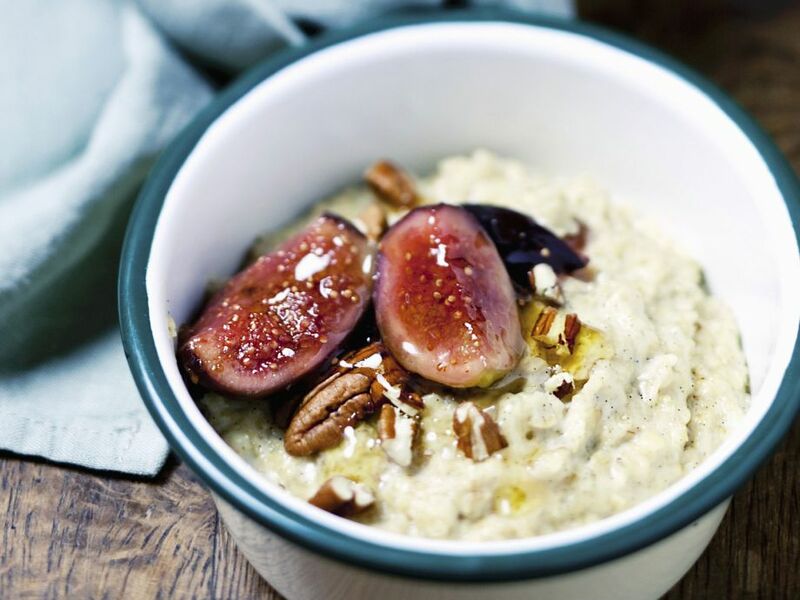 Divide porridge among bowls and top with the figs and nuts.